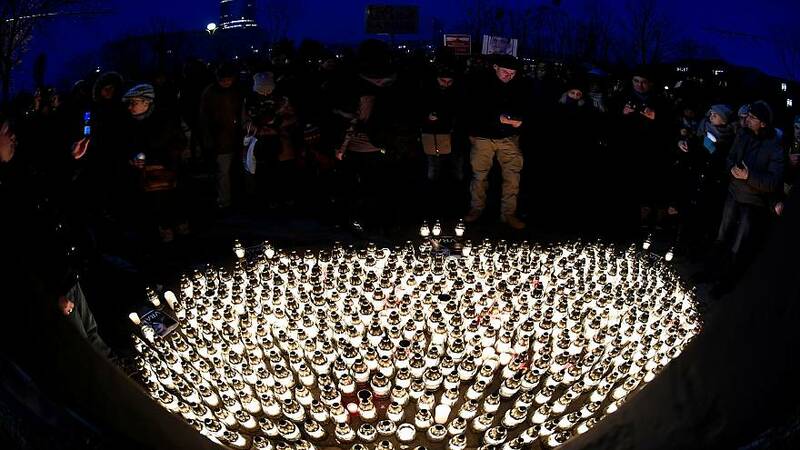 Thousands of people marched in Bratislava and other Slovak cities on Friday for murdered investigative journalist Jan Kuciak. The protesters called for swift action in response to a killing that has shocked the country and shaken its government. Marching behind a banner reading "An attack on journalists = an attack on all of us" and pictures of the two victims, the majority of protesters walked in silence with many carrying candles. Similar events took place in more than a dozen other Slovak cities and were planned elsewhere in Europe. Hundreds gathered in Prague. His article was published posthumously by Slovak and international media. One of the men named in Kuciak's report, which probed potential abuse of EU subsidies and other fraud, had past links to people who subsequently worked for Prime Minister Robert Fico's office. Kuciak's death has swelled public anger about allegations of widespread corruption in the European Union member state and rattled Fico's three-party government. A junior partner has called for the interior minister to be sacked and appealed for international help in the investigation.